graceful waders with elegant bodies and miles of legs. This was a first for me. While I have seen groups of avocets in ponds, they usually arrive one or two at a time. 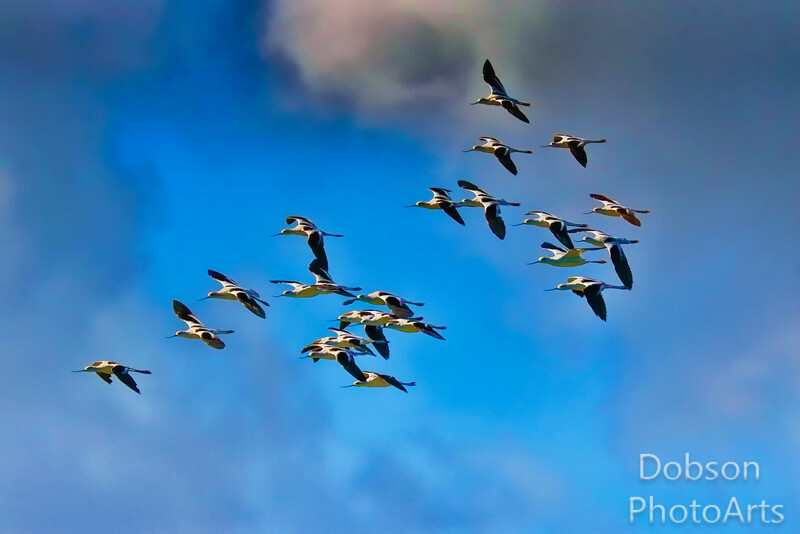 On this day I was lucky enough to see and photograph over twenty of these graceful birds seemingly flying in formation.